The Hoover Public Library is presenting an Authors Conference. The following authors will be present. After the afternoon conference sessions, the authors will be available for book signings. Dorothea Benton Frank is The New York Times best-selling author of 13 novels including Lowcountry Summer, Isle of Palms and Sullivan’s Island. Born and raised on Sullivan’s Island, Mrs. Frank is known for her eloquent descriptions of the South Carolina lowcountry. Her latest novel, Porch Lights, is the story of a woman who returns to her childhood home for healing when her husband, a fireman, is killed in the line of duty. Filled with pluff mud, palmetto fronds and ocean breeze, the novel combines themes of love, loss, grief, motherhood and friendship. Ron Rash is a novelist, poet, short story writer and Southern Voices alumnus. In 2008, Rash’s fourth novel Serena received wide accolades and was named as Publishers Weekly Best Book of 2008, listed to The New York Times’ 10 Favorite Books of 2008 and was a finalist for the 2009 Pen/Faulkner Award. According to Pat Conroy, Serena catapulted Rash to “the front ranks of the best American novelists.” In 2013, Serena will make its debut on the silver screen starring Jennifer Lawrence and Bradley Cooper as Serena and George Pemberton. Grant Jerkins has published three novels, including the Southern gothic coming of age story, At the End of the Road and The Ninth Step. Each of these novels primarily focus on the dark side of humanity—prompting The Washington Post to remark, “You have to admire the purity of Jerkins’s writing: He’s determined to peer into the darkness and tell us exactly what he sees.” Pegged by The New York Times as a “well-fashioned study in abnormal psychology,” his debut novel A Very Simple Crime has been optioned for a film. 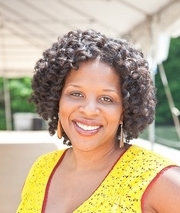 Tayari Jones is the author of three novels including Leaving Atlanta, The Untelling and most recently, The Silver Sparrow, which follows two daughters, one public and one secret, who meet and become friends. The powerful, explosive novel has received overwhelming praise from the media, readers and booksellers alike. Named to O, The Oprah Magazine’s Favorite Books of 2011 and Library Journal’s Top Ten Best Books of 2011, Michele Norris described the book as “a complicated, heartbreaking and very rich story” on NPR’s All Things Considered. Michel Stone’s debut novel The Iguana Tree is the suspenseful saga of Lilia and Hector, who separately make their way from Mexico into the United States, seeking work in the Carolinas and a home for their infant daughter. Kirkus Review compared the novel to the work of John Steinbeck, and it received a starred review from Publishers Weekly and a 2012 “Okra Pick” from the Southern Independent Bookseller’s Association. ORDER SIGNED COPIES- WE'LL SHIP THEM TO YOU! Tayari Jones’ Silver sparrow is set in a middle-class neighborhood in Atlanta in the 1980s. The opening line of the novel, "My father, James Witherspoon, is a bigamist," launches a breathtaking story about a man's deception, a family's complicity, and the two teenage girls caught in the middle. Silver sparrow is the third stunning novel from an author deemed "one of the most important writers of her generation" (Atlanta Journal Constitution). Tayari Jones’ reading will be followed by a booksigning and reception. To celebrate the paperback release of Tayari Jones' beautiful novel, Silver sparrow, as well as the reprinting of her first two novels, Leaving Atlanta and The Untelling we will host Tayari for an afternoon book signing at Charis! Tayari Jones discusses Silver Sparrow. Algonquin Book Club and Water Street Bookstore present Lauren Grodstein in conversation with Stephen King Acclaimed author Stephen King interviews up-and-coming author Lauren Grodstein in this unique literary event live and in person at the Cooperative Middle School in Stratham, NH. The Algonquin Book Club will be livestreaming the conversation to book clubs, fans across the country and around the world, and you (if you can't make it to the real thing). Check it out at www.AlgonquinBooksBlog.com Lauren Grodstein's novel A friend of the family is a compelling, psychologically rich novel with complex characters and a fast moving plot, written in gripping and often profound prose. A skilled internist with a thriving practice in suburban New Jersey, Pete Dizinoff has a devoted wife, an impressive house, and a son, Alec, on whom he’s pinned all his hopes. But Pete never counted on the wild card: Laura, his best friend’s daughter—ten years older than Alec, irresistibly beautiful, with a past so shocking that it’s never spoken of … * A Washington Post Best Book of the Year selection * A New York Times Editors’ Choice * A Bookpage Best Fiction of the Year selection “Such an incisive diagnosis of aspirational America that someone should hand out copies at Little League games and ballet recitals . . . Horrifyingly plausible and deeply poignant, A friend of the familywill leave you shaken and chastened–and grateful for the warning.” –The Washington Post “Stunning . . . An unqualified success . . . Grodstein’s sentences are finely made and precisely fitted to one another and her story . . . If there’s any justice in the world, A friend of the family will be her breakout book . . . She has written a novel that will leave her reader sitting up, sifting the evidence in the dead of night.” –The Boston Globe Lauren Grodstein’s books include the novels A friend of the family and Reproduction is the Flaw of Love and the story collection The Best of Animals. Her pseudonymous Girls Dinner Club was a New York Public Library Book for the Teen Age. Her work has been translated into German, Italian, French, Turkish, and other languages, and her essays and stories have been widely anthologized. Lauren teaches creative writing at Rutgers-Camden, where she helps administer the college’s MFA program. She lives with her husband and son in New Jersey. Stephen King is the author of more than fifty books, all of them worldwide bestsellers. Among his most recent are 11/22/63, Full Dark No Stars, Blockade Billy, Under the Dome, Just After Sunset, the Dark Tower novels, Cell, From a Buick 8, Everything’s Eventual, Hearts in Atlantis, The Girl Who Loved Tom Gordon, Lisey’s Story,andBag of Bones. His acclaimed nonfiction book, On Writing, was recently re-released in a tenth anniversary edition. King was the recipient of the 2003 National Book Foundation Medal for Distinguished Contribution to American Letters, and in 2007 he was inducted as a Grand Master of the Mystery Writers of America. He lives in Maine with his wife, novelist Tabitha King. This event is free and open to the public and will take place at the Cooperative Middle School auditorium in Stratham, NH. Seating is general admission. The Algonquin Books Club offers a selection of 25 paperback titles chosen for their popularity, widespread critical acclaim, and power to provoke discussion. Each includes a reader’s guide with discussion points, author interviews, original essays, or other special features. We’ll be featuring four Algonquin Book Club selections a year for dynamic literary events held around the country and simultaneously webcast on our site. For each event, an Algonquin author will be interviewed by a notable writer: March 3, 2012 Lauren Grodstein (A friend of the family) interviewed by Stephen King, author ofFull Dark, No Stars April 26, 2012 Caroline Leavitt (Pictures of you) interviewed by Anne Lamott, author of Some Assembly Required June 19, 2012 Tayari Jones (Silver sparrow) interviewed by Judy Blume, author of Summer Sisters Note: As this event is to celebrate and promote the writing career of Lauren Grodstein, Stephen King will not be taking questions about or signing copies of his books. We hope that the opportunity to see a favorite author interview another writer (who he chose to interview and admires) will be exciting enough for any Stephen King fan or fan of the written word in general. Tayari Jones reads from Silver Sparrow. Tayari Jones is a LibraryThing Author, an author who lists their personal library on LibraryThing. Tayari Jones's book Well-Read Black Girl is currently available from LibraryThing Early Reviewers. Tayari Jones's book An American Marriage was available from LibraryThing Early Reviewers. Tayari Jones's book Atlanta Noir was available from LibraryThing Early Reviewers. Tayari Jones is currently considered a "single author." If one or more works are by a distinct, homonymous authors, go ahead and split the author. Tayari Jones is composed of 3 names. You can examine and separate out names.